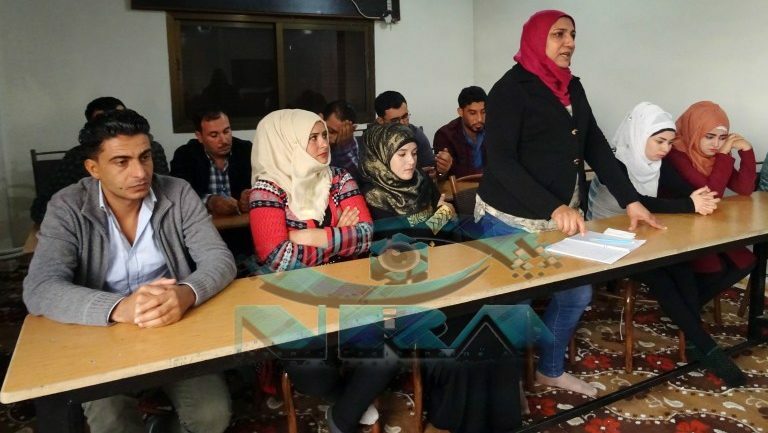 The course covered many subjects, including women’s economy, Jineolojî, Capitalist Modernity, Democratic Confederalism, communes and councils, gendered society, the history of the economy, the history of co-operatives and their internal system in Rojava. Layla Sarikan, a member of the Economic Committee in Hasakah, congratulated the graduates and thanked everyone who had organised the course. She mentioned how important it is to train society and how it will positively impact the coming generation. Authorities have corrupted and disrupted social progress and led to wars and many social problems. Layla said that these crisis and social problems have evolved out of the capitalist establishment that dominated societies, and one of their catastrophic impacts on society has been the destruction of the communal economy. She also said that it is crucially important for attendees to apply what they have learned from the course to their daily lives, and continue informing their friends and family members. The trainees gave their own opinions and suggestions too, and they thanked Salar Ausy, a member of the Centre for Co-operatives Societies, for what she had offered to the course. They said that they had benefited a lot from the course and have learned many things that were new to them.